If you are charged of the DWI and had your license suspended by the state of Texas for this offense then you would now be required to get and carry SR-22 insurance as part of your driver’s license reinstate-ment process. 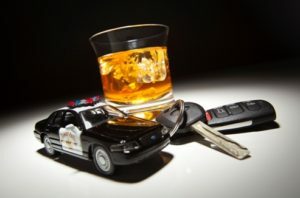 The Texas Department of Public Safety (DPS) states that a conviction for driving while intoxicated (DWI) will typically results in a license suspension or revocation, which this time period will vary depending on the court but should not exceed two years. A conviction of a DWI for a driver who is under the age of 21, according to the Texas Transportation Code 521.344 that driver will have an automatic drivers license suspension for a year per. The filing requirement is due to a traffic violation. If you fail to comply with your requirement, the state will suspend your license and vehicle registration. The most common violation that requires SR22 insurance are: DWI’s DUI and Tickets for Driving Without Financial Responsibility or ” no Insurance “. The SR22 form is issued by an appropriately licensed car insurance company. In Dallas, Texas, the minimum liability insurance coverage is 30/60/25. An SR-22 form simply guarantees the DMV that the insured party has the required liability insurance required. Generally the problem driver will need to carry a SR22 insurance for a period of 2 years. After getting an insurance, you will need to keep it active or else your license will be suspended as well as your driving privileges. You might also face jail time and thousands of dollars in fines. It is easy to find S22 insurance quotes but keep in mind that you are now considered to be a high risk. Most car insurance companies are alarmed when a policyholder is required to obtain an SR22. Sometimes they do not offer renewal for these policyholders. Also, not all car insurance companies offer an SR22 insurance. But do not worry. There are still many car insurance companies out there that are willing to insure you. The best thing to do is to compare insurance quotes to make sure you are getting the best deal. It may not be as cheap as the standard car insurance before your infraction, but still you have other options to make your car insurance low.